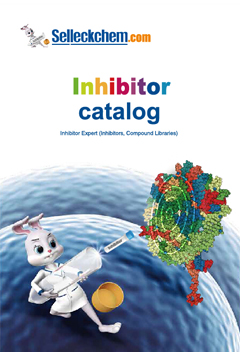 INCB054329(INCB-054329; INCB-54329) is a structurally distinct bromodomain and extraterminal domain (BET) inhibitor with IC50 values of 44 nM, 5 nM, 9 nM, 1 nM, 28 nM, 3 nM, 119 nM and 63 nM for BRD2-BD1, BRD2-BD2, BRD3-BD1, BRD3-BD2, BRD4-BD1, BRD4-BD2, BRDT-BD1 and BRDT-BD2, respectively. INCB054329 shows no significant inhibitory activity against 16 non-BET bromodomains at 3 μM. In a panel of 32 hematologic cancer cell lines derived from acute myeloid leukemia, non-Hodgkin lymphoma, and multiple myeloma, the median 50% growth inhibition (GI50) value of INCB054329 is 152 nM (range, 26-5000 nM). In contrast to tumor cell lines, the GI50 value against T cells isolated from non-diseased donors stimulated ex vivo with IL-2 is 2.435 μM. Growth inhibition correlates with a concentration-dependent accumulation of cells in the G1 phase of the cell cycle. INCB054828 is also a selective kinase inhibitor of the FGFR 1, 2, and 3. In myeloma cell lines, treatment with INCB054329 inhibits expression of c-MYC and induced HEXIM1. In both AML and lymphoma cell lines, INCB054329 induces apoptosis consistent with increased expression of pro-apoptotic regulators. INCB054329 reduces expression of Homologous recombination (HR) components and co-operatively reduces cell growth and increases DNA damage and apoptosis induced by PARPi and cisplatin. INCB054329 exhibits high clearance in mice resulting in a short half-life. At exposures that effectively suppressed c-MYC, INCB054329 is found to be efficacious and well tolerated in both the KMS-12-BM and MM1.S xenograft models. In vivo, oral administration of INCB054329 inhibits tumor growth in several models of hematologic cancers. Stubbs MC, et al. Clin Cancer Res. 2019, 25(1):300-311. Phillip CC Liu, et al. 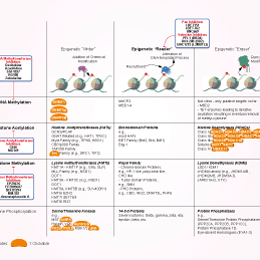 AACR Cancer Res. 2015, 75(15 Suppl):Abstract nr 3523. Wilson AJ, et al. Gynecol Oncol. 2018, 149(3):575-584.